We stayed here for Spring Break and it was great. The adults, kids & our dog all enjoyed it very much. The house is very accurately described on this website. 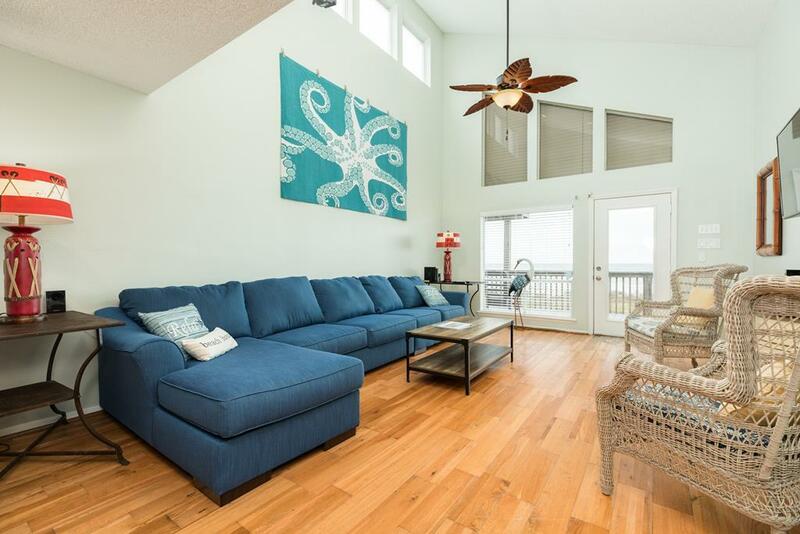 Beach access is outstanding, the deck is awesome, the hot tub is nice, and the house if furnished / appointed well. The whole experence was great !! From the staff to the property !! It was a blast !! We’ll be back !!! Thank you !! This was my extended family’s favorite place to stay, much better than numerous motels and beating a couple of prior home rentals. Comfortable day or night and a perfect location. This property was perfect for us. Has a wonderful porch and we spent all our time either on the porch or at the beach. And it had a really big kitchen table we could all fit around. Perfect. Family members stayed in this house 8 years ago. The layout works great for multiple families with children. The added deck cover was a plus. This house does not have a pantry - and counter space is limited. The sky lights were a bother for the little children at nap time. Long time renter - wouldn't dream of renting with anyone else! Loved this property! This house, view, location and the whole package was beyond my and my guest’s most enjoyable experience. One of our favorites was the country farm table in the kitchen. My birthday party was centered around this part of the kitchen and simply ‘made’ the night. Already planning our next trip and can’t wait,.....don’t pass this one up folks! Very attentive to your customers. Appreciated the week! the property needs to invest in a hose to have downstairs to rinse feet before going upstairs plus to be able to rinse chairs and toys ,etc off. the view is great and the house is quite comfortable. Love having TV's in every room. 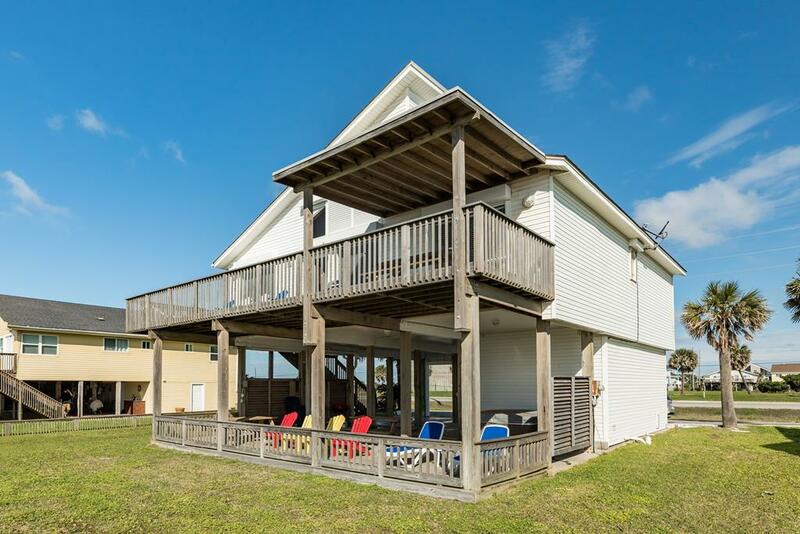 Great house and good beach access. Very clean and layed out well. 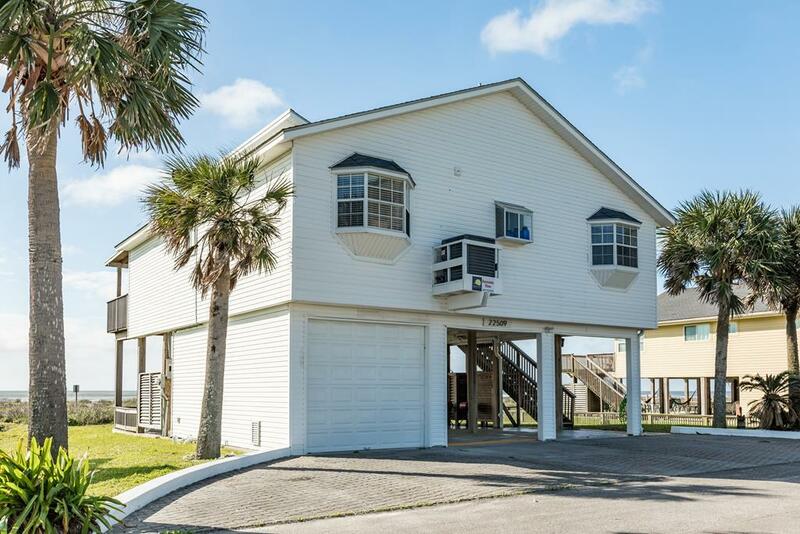 very clean, easy beach access. Nice floor plan. "Awesome View" is absolutely amazing! 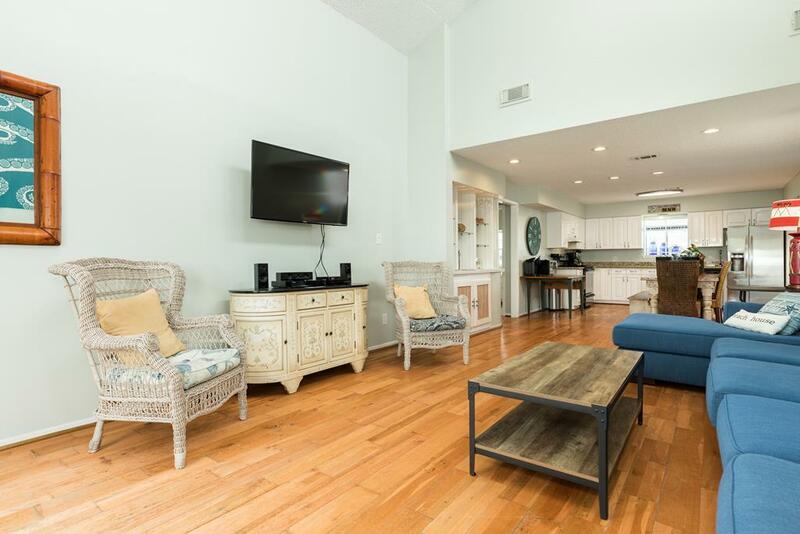 It is everything we wanted in a vacation rental and more! The house is beautiful on the inside and outside and is spacious to accommodate us. Regarding the outside, the top deck is not wood - it is composite so you can walk barefoot without getting splinters. It also has a covered area so when you want out of the sun, you can sit in the shade. The carport area is concrete so no worries to get stuck in the sand. 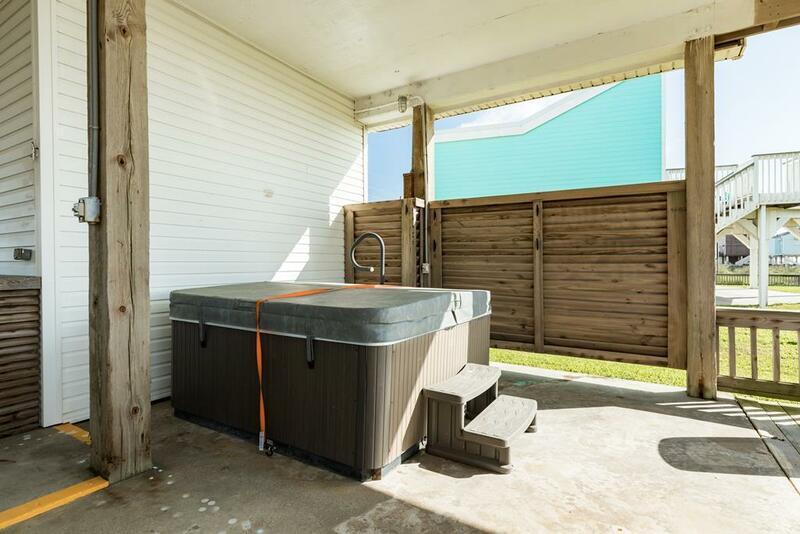 The hot tub is excellent - while you relax, you can enjoy a great view of the beach! You also have a downstairs shower and bathroom which is wonderful. Both decks have picnic tables and lots of chairs so you have plenty of room. On the inside, it is decorated beautifully and I also like the floor plan. I love the windows - you have these gorgeous views! 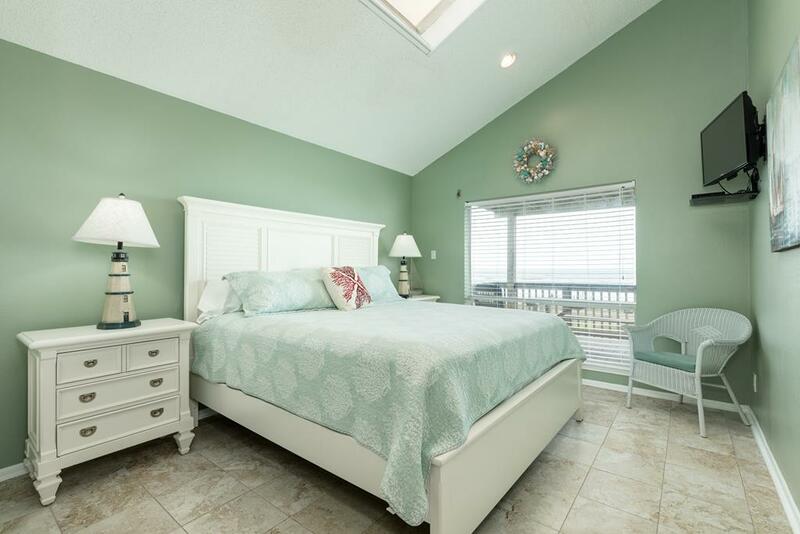 2 of the bedrooms have skylights so you get to wake up to the morning sun and have your cup of coffee on the deck watching the waves roll in. The bed set-up was great too! 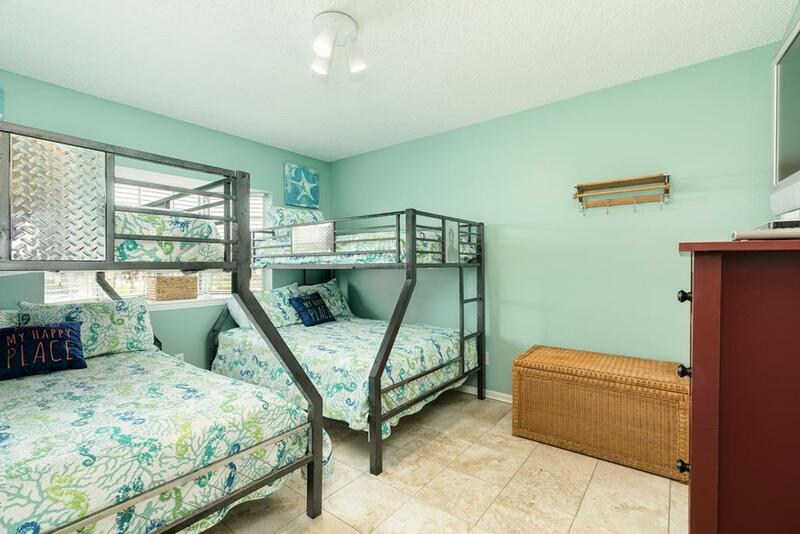 Adults had the king & queen beds & the kids enjoyed staying together in the room with the bunk beds. This home is just totally amazing! We loved staying at "Awesome View" - it was perfect!!! We will definitely stay here again. 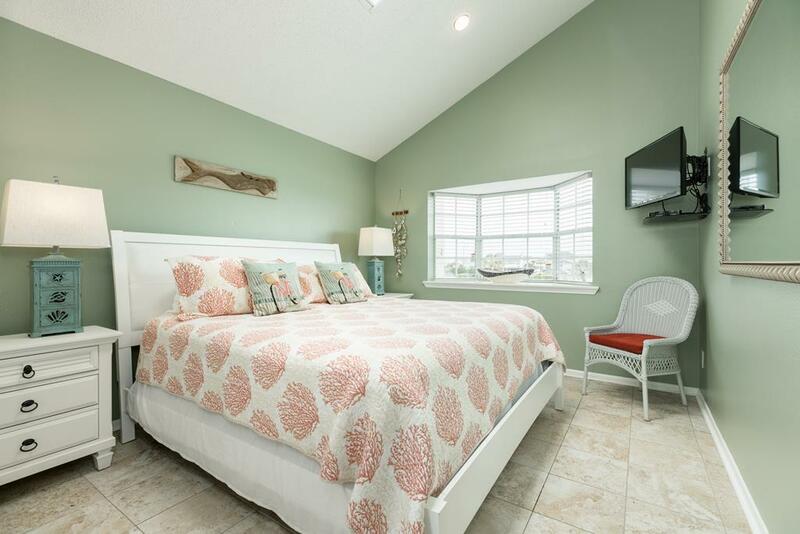 Beds are too firm or soft; storm shutters to prevent sun on east side but king bedrm has skylight right over bed, so light floods in at sunrise. Same with roadside king bedrm. New BBQ pit which was nice. No hose outside to rinse off things but does have nice heated shower. Awesome View says it all! An awesome home. Used my guest advantage points and treated my garden club to a weekend! Sand n Sea as always is amazing! Always accommodating! 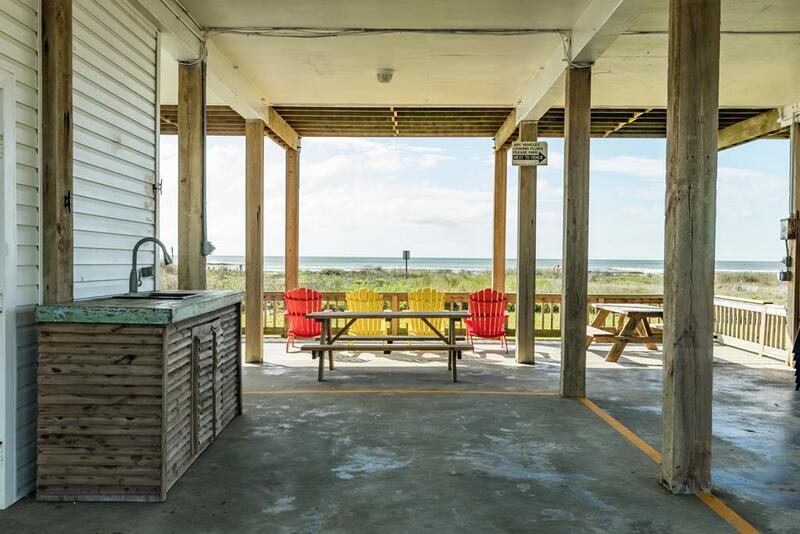 This house is ON the beach, the pictures are all up to date...had ample space for our group of 7 and 2 dogs....the view is indeed Awesome! Highly recommended! Thanks Sand n Sea for helping me sponsor a needed get-away for our little group, cheers! the floor plan is very well thought-out. 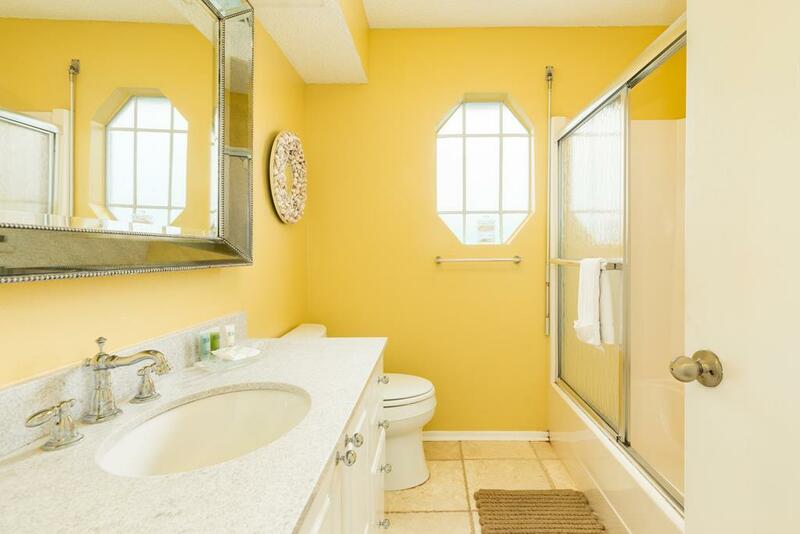 Specifically, two bathrooms in hallways, instead of a bath in the master suite. Very light, airy look. Comfortable beds. And then there's the hot tub---just great! 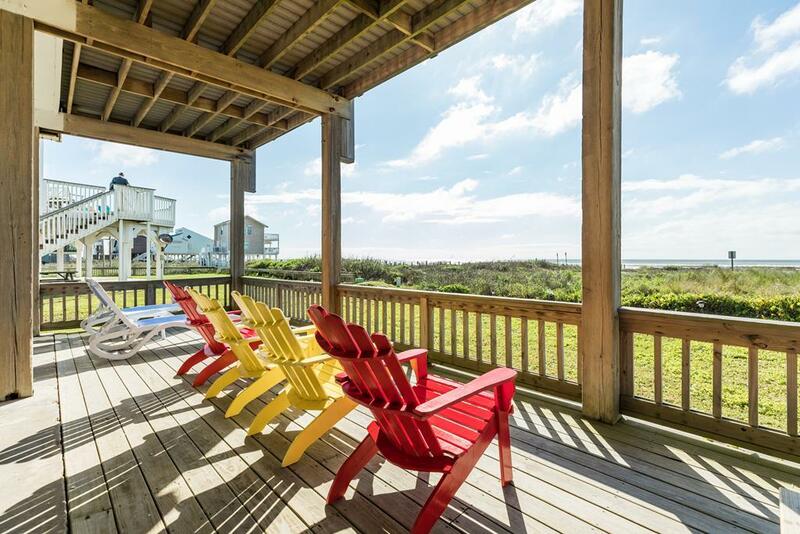 "Awesome View" is a great beach house for a larger group. Views - killed it! Roominess and lay out of house - killed it! Beach access - killed it! Covered deck- killed it! Added luxury of a hot tub - killed it! Sand and Seas - killed it! (They always do). 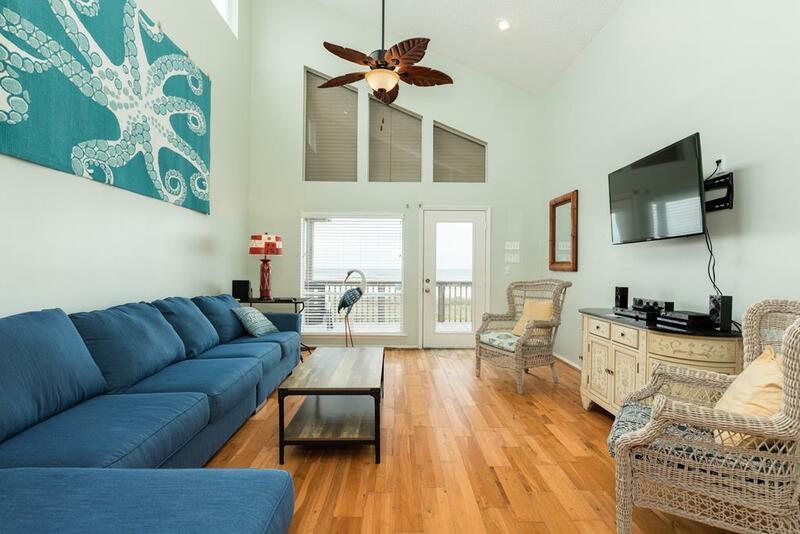 Seriously a great vacation for 8 adults at a well appointed spacious beachfront home managed by the friendly and professional Sand and Seas! Can't go wrong!!!! " We had a delightful time at Awesome View in early September! The house was lovely and perfect for our family. We had 8 adults and 3 children. 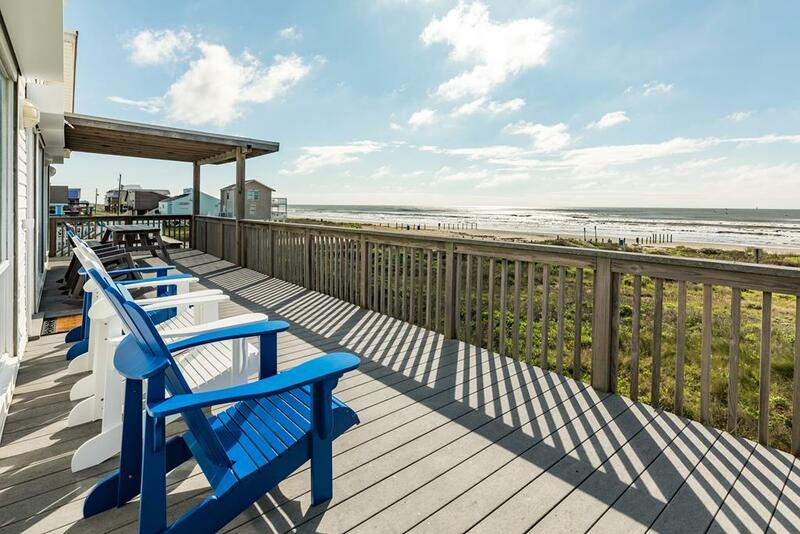 The proximity to the beach couldn't be beat, and we spent a lot of time on the deck, watching the waves. The air and water were warm, but the breeze kept us comfortable while outside. 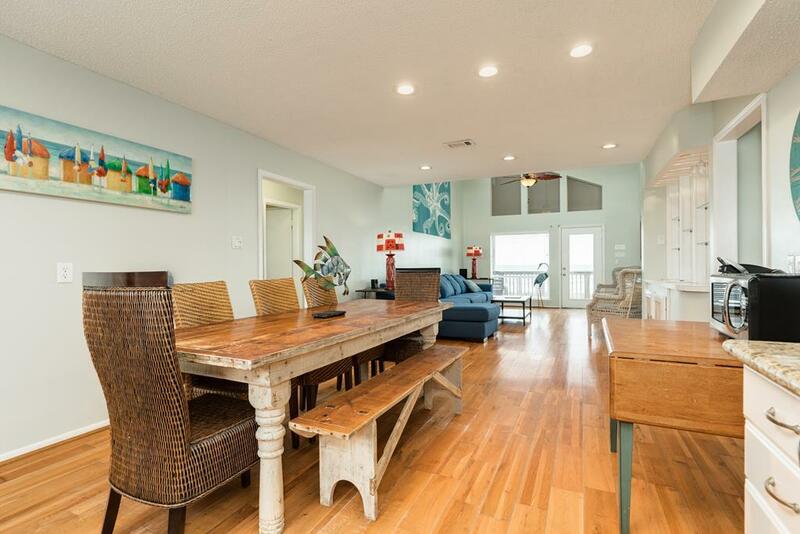 The open floor plan of the house made it ideal for spending time together and preparing meals. We highly recommend Awesome View! No issues while staying at Awesome View. The kitchen was fully stocked with all commonly used equipment and everything worked. The bedrooms and bathrooms were spacious and comfortable. This home is great for family vacations. 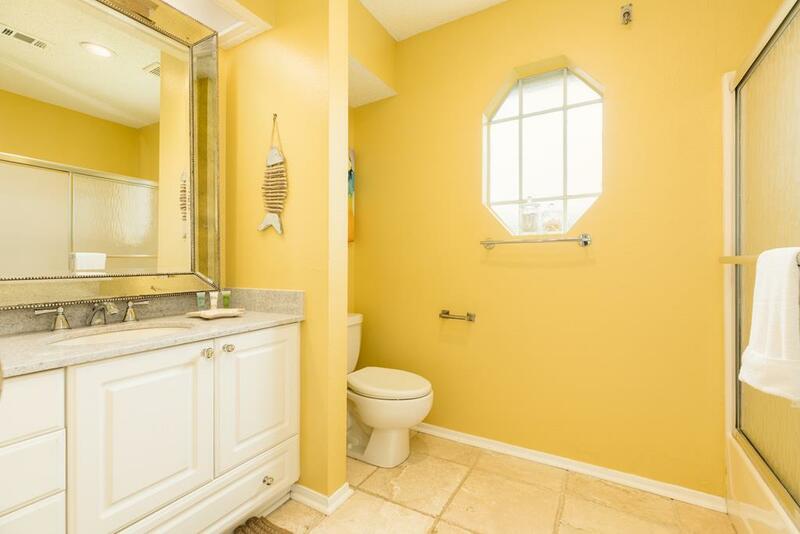 Very comfortable and plenty of privacy for all. Loved the view. We had an absolutely Awesome time at Awesome View Beachfront house. The house exceeded our expectations and the beach was great. We had a blast! SandnSea staff checked on us through out the stay. They are also Awesome. 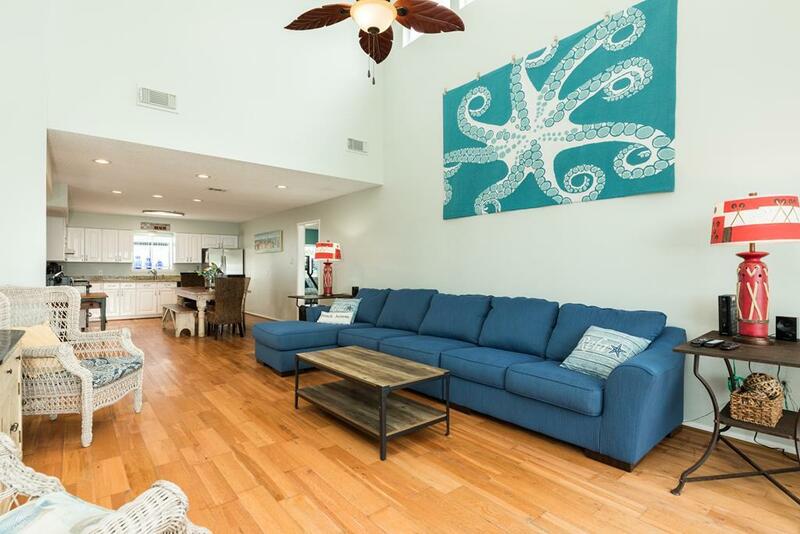 This property was perfect for two couples, three toddlers and an infant. It's on the beach and the path to get to the water was good enough that you didn't have to wear shoes. The house had everything we needed! Great location for the beach access. Also nice to have fishing pier access. Caught 2 - 24" reds and 2 flounder. Sand 'n Sea did an excellent job providing great weather. Would definitely do it again. This was a lovely house and our only complaint is that our personal schedules did not allow a longer stay. 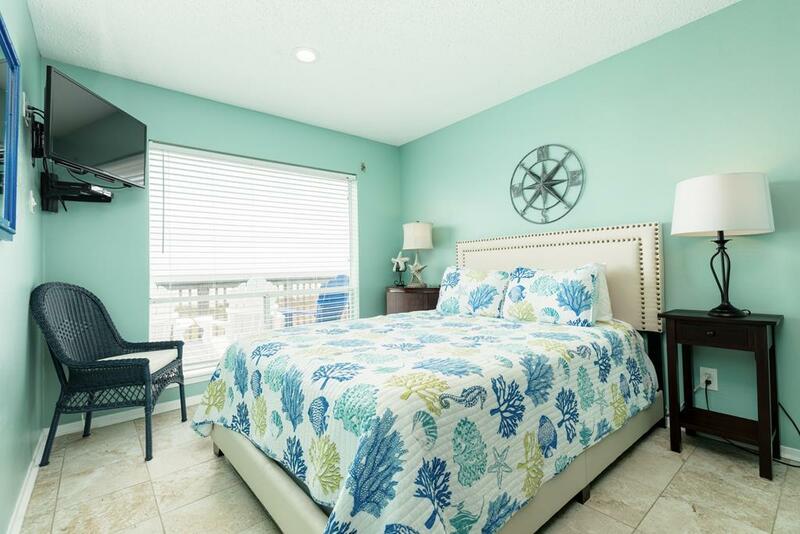 Tastefully furnished, AMAZINGLY AWESOME views, and dog friendly!!! It's hard to beat. 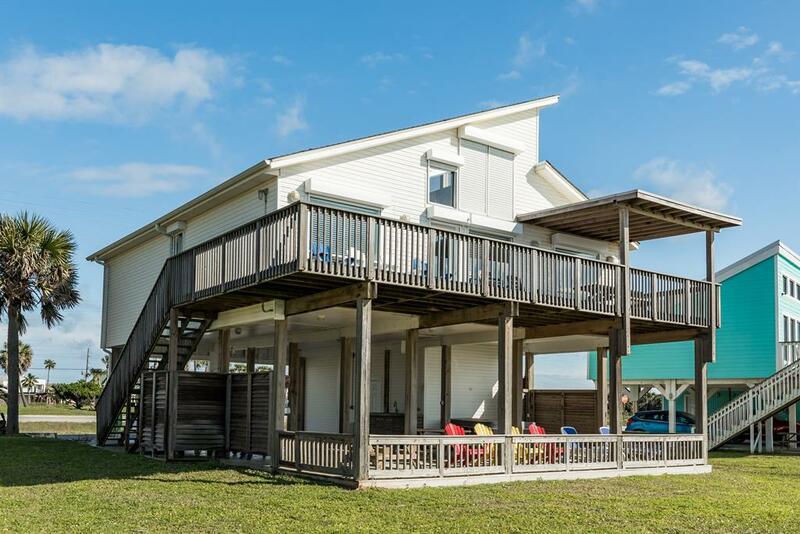 This is a clean and comfortable home, with very nice views of the Gulf. Bright and airy feeling with all the amenities. 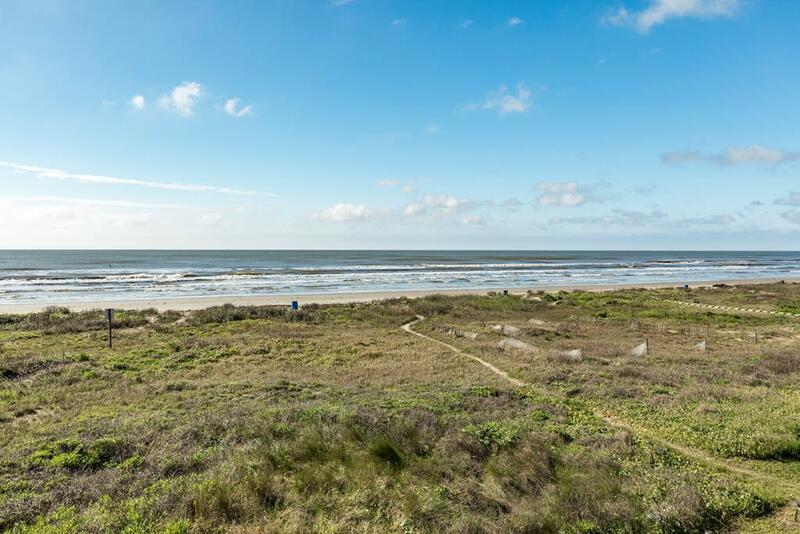 Awesome View does truly have an awesome view as it is a beach front property with a great balcony and full 180 degree views of the Gulf of Mexico. 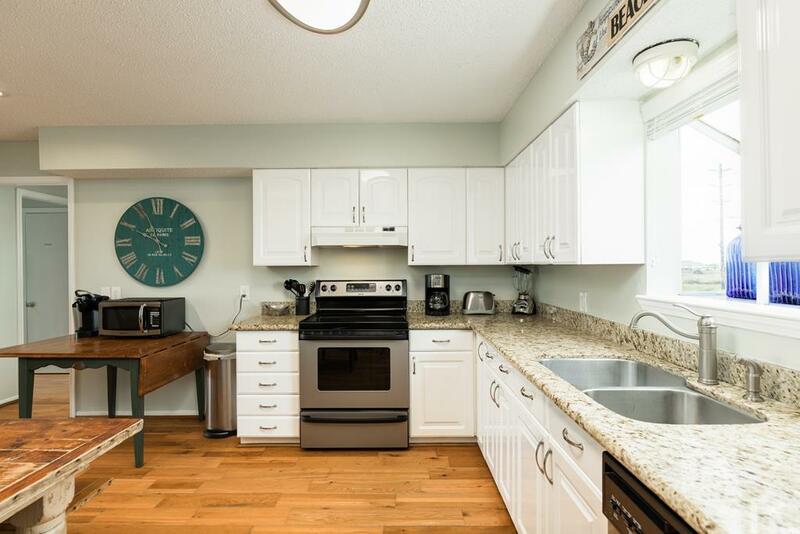 It is updated and very clean with a modern kitchen and nice flooring. Beds are large and very comfortable. 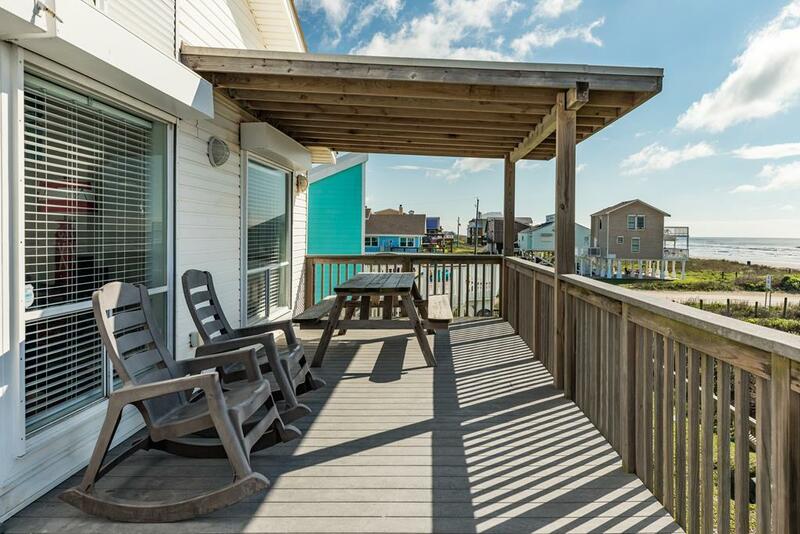 The deck is very long nice with a covered portion and shade starting at 10:00am, which is very important to us in the hot summer months, and an uncovered portion if you want direct sun during the day and a great view of the stars at night. 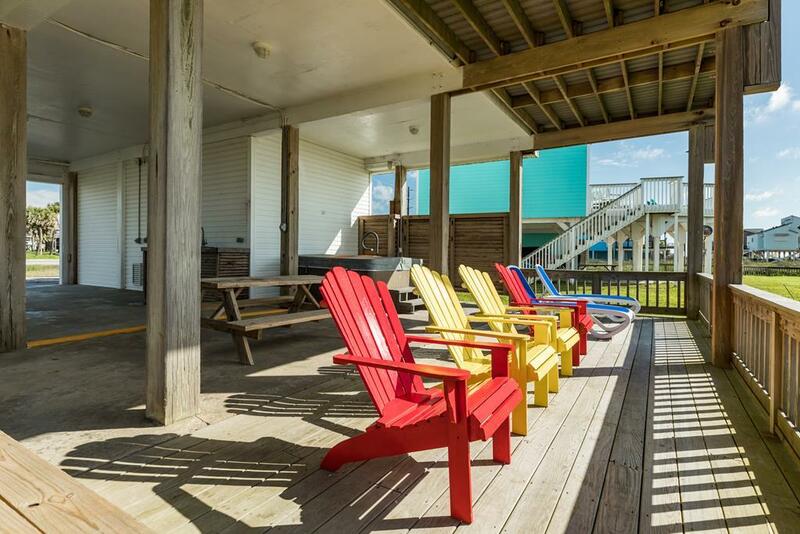 The bottom deck is finished with cement (vs dirt), plenty of shaded parking, a nice laundry room, a shower and toilet, a hot tub and plenty of space to BBQ and eat, with a great view of the Gulf. This place is very kid and pet friendly given that small dogs are "fenced-in" on the upper balcony all around and the inside is just one level. TV in the den was great for watching high def TV and movies. Sea Isle is a very quiet and established part of Galveston with little traffic and not too many folks on the beach. No complaints, we would rent this again.